A setting of this popular praise chorus. For 3 octaves 22 chimes Range: C4-C7 level 2. Settings for Easy Piano and Instrumental Ensemble are available in the catalog. A setting of this popular praise chorus. For 3 octaves 37 chimes Range: C4-C7 level 2. A setting for Instrumental Ensemble is available in the catalog. 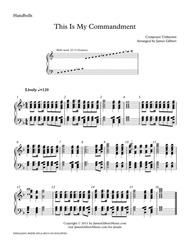 Popular title This setting of the all time classic hymn can be played as a handchime duet or by a regular sized group. 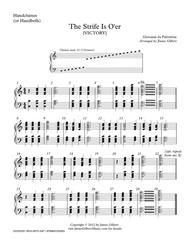 Originally written for two young solo chime ringers. (Level 1+ 11 chimes). 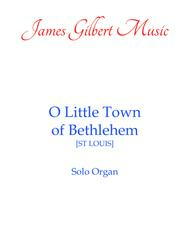 A setting of this title for Organ Accompaniment of congregational singing and a Trumpet Trio is available in the catalog. 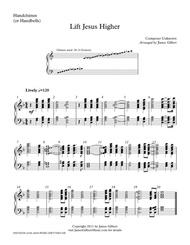 This piece would also work well as an Easy Piano piece. Hymn tune: NEW BRITAIN. 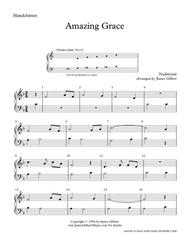 Amazing Grace: Selections for Beginning Handchime Choirs. These arrangements and compositions were designed with middle and high-school beginning ringers in mind. They are also playable by handbells. Titles are: Amazing Grace (11 chimes. 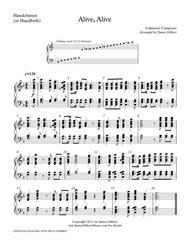 Can be performed as a duet by advanced ringers); And Can It Be (3 Octaves, 24 chimes); EBENEZER (hymn tune, simplified) (17 chimes); Look, Ye Saints, The Sight Is Glorious (27 chimes, 3 Octaves); Pentatonic Warmup Piece (11 chimes); These familiar hymn tunes are great for beginning handchime (or handbell) groups to learn. 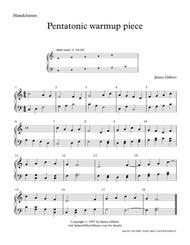 The Pentatonic Warmup piece is just that, a good warmup piece based on the pentatonic scale. 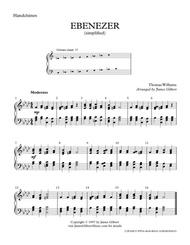 The hymn tune EBENEZER, probably best known to the words O, The Deep, Deep Love Of Jesus, is a simplified setting without the usual triplets. One-verse arrangement of this hymn tune. Written in a chordal structure for use by beginning groups or as a quick learn for more experienced groups. Also good for accompanying hymns. (Level 1+ Range: C4-C7 24 chimes). 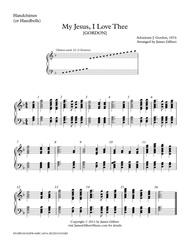 A setting for Easy Piano is also available in the catalog. 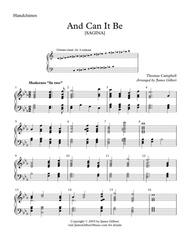 Hymn tune: SAGINA. A one-verse arrangement of this hymn from the Psalmodia Evangelica, Part 2. Mostly chordal for use by beginning groups or as a quick-learn for other groups. (Level 1+ Range: C4-C7). Hymn tune: TRURO. 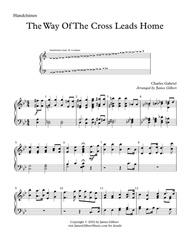 A simplified setting of this popular hymn tune often known under these titles: Once To Every Man And Nation; O The Deep Deep Love Of Jesus; Round The Lord In Glory Seated. 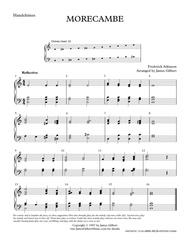 An adaptation of the Mendelssohn organ piece for handchimes. For 3 octaves 37 chimes level 3+. A one-verse arrangement of this hymn by Joachim Neander. Mostly chordal for use by beginning groups or as a quick-learn for other groups. (Level 1+ Range: C4-C7). Hymn tune: UNSER HERRSCHER. One-verse arrangement of this hymn. For less experienced groups or as a quick-learn for other groups. (Range C4-C7 Level 2 for accidentals). A one-verse arrangement. Mostly chordal for use by beginning groups or as a quick-learn for other groups. (Level 1+ Range: C4-C7). Hymn tune: ALL TO CHRIST. 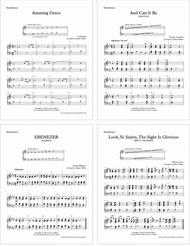 Lent and Easter Titles for 3 Octave Handchime Choirs. 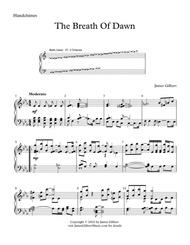 Titles are: Grave And Adagio by Mendelssohn (3 Octaves); O Love Divine, What Hast Thou Done [SELENA] (3 Octaves); Reflection on EASTER HYMN (3 Octaves); The Breath Of Dawn (3 Octaves); The Way Of The Cross (3 Octaves). A collection of titles with varied difficulty levels. The collection can continue to be used as your group advances. 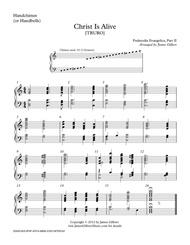 Grave and Adagio is a good piece for your choir to learn changing bells when accidentals occur. The Breath Of Dawn, the most contemporary styled of the collection, is a more intermediate-advanced piece due to its rhythmic variety. 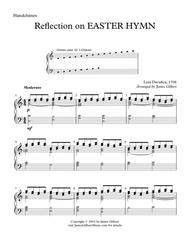 Reflection EASTER HYMN (Jesus Christ Is Risen Today or Christ The Lord Is Risen Today) leaves out the alleluias and puts the melody as the lowest note. The Way of The Cross is a great upbeat title. 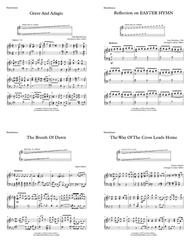 Lent and Easter Titles for beginning Handchime choirs. 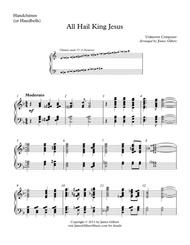 Titles are: Christ Is Alive (3 octaves); He Is Risen (3 Octaves); I Know A Fount (3 Octaves); Jesus Paid It All (3 Octaves); MORECAMBE (3 Octaves); OLIVE'S BROW (19 chimes); The Strife Is O'er (3 Octaves). 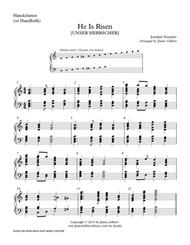 These pieces are great for beginning handchime (or handbell choirs). They are very chordal in their writing style. They have just enough rhythmic and accidental variety to challenge beginners, but not make them give up. The tune MORECAMBE is probably best known as Spirit of God, Descend . A setting of this popular praise chorus. For 3 octaves 28 chimes Range: C4-C7 level 2. A one-verse arrangement of this hymn tune. Mainly chordal in structure for beginning groups but also a great easy-learn for other groups. (Range: C4-C7 Level 1+). Hymn tune: BRYN CALFARIA. Popular title A one-verse setting of this tune often set to the lyrics Spirit Of God Descend Upon My Heart. Written for a beginning group. This could be used as congregational accompaniment or as an introduction or interlude. Very chordal. Good for beginning group. (Level 2 Range C4-E6). Free download! Just the melody of this piece often set to the lyrics Spirit Of God Descend Upon My Heart. Let a solo ringer use with piano accompaniment out of the hymnal. Free download. A setting of this popular hymn. For 3 octaves 22 chimes Range: C4-C7 level 2. Tune name: GORDON. One-verse arrangement of this hymn. Mostly chordal structure for use by beginning groups or as a quick learn for other groups. (Level 1. Range: C4-C7). Hymn tune: SELENA. 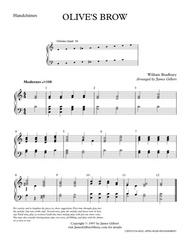 One-verse arrangement of this tune in a very chordal style for beginning groups. Although a stand alone piece it could be used as an intro or interlude in congregational singing. (Level 1. Range: C4-E6). Free download! Just the melody of this piece. Let a solo ringer use with piano accompaniment out of the hymnal. Free download. This was written to be a warmup piece based on the pentatonic scale for a middle-school group. It could easily be used in performances. 18 measures long. (Level 2 Range C4-C6). Also available in G major. (See the G version for an audio sample). A slow reflective setting of the familiar Easter tune. (Level 2-3). Known under the titles Christ The Lord Is Risen Today and Jesus Christ Is Risen Today. 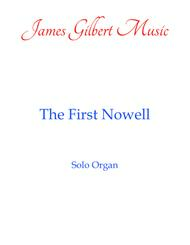 A similar version for solo Organ is also available. Sacred Selections for 3-Octave Handchime Choirs. Titles are: Alive, Alive (3 Octaves); All Hail King Jesus (3 Octaves); Lift Jesus Higher (3 Octaves); My Jesus I Love Thee (3 Octaves); This Is My Commandment (3 Octaves); We're Marching To Zion (3 Octaves). 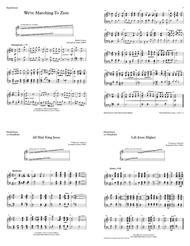 ; These are intermediate level pieces for your handchime (or handbell) choir. It has a nice blend of material. 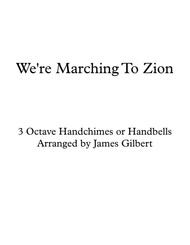 If it weren't for We're Marching To Zion this collection would rank as Easy/Beginner. There's certainly something in this collection for your beginning and intermediate choirs to use. Popular Title A bouncy pop style piece. (Level 3+). 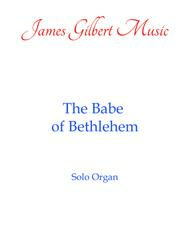 Settings of this title for Orchestra and solo Organ are also available. A one-verse arrangement of this hymn by Giovanni Palestrina. Mostly chordal for use by beginning groups or as a quick-learn for other groups. (Level 1+ Range: C4-C7). Hymn tune: VICTORY. Another gospel hymn setting. (Level 2-3). 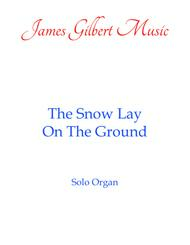 A setting of this title for solo Organ is also available. A setting of this popular praise chorus. For 3 octaves 22 chimes Range: C4-C7 level 2. 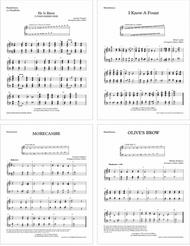 Popular Title A full arrangement of this classic gospel hymn. Some rhythmic and bell changing challenges. (Level 3 or 4). 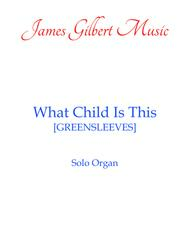 A setting of this title for solo Organ is also available.